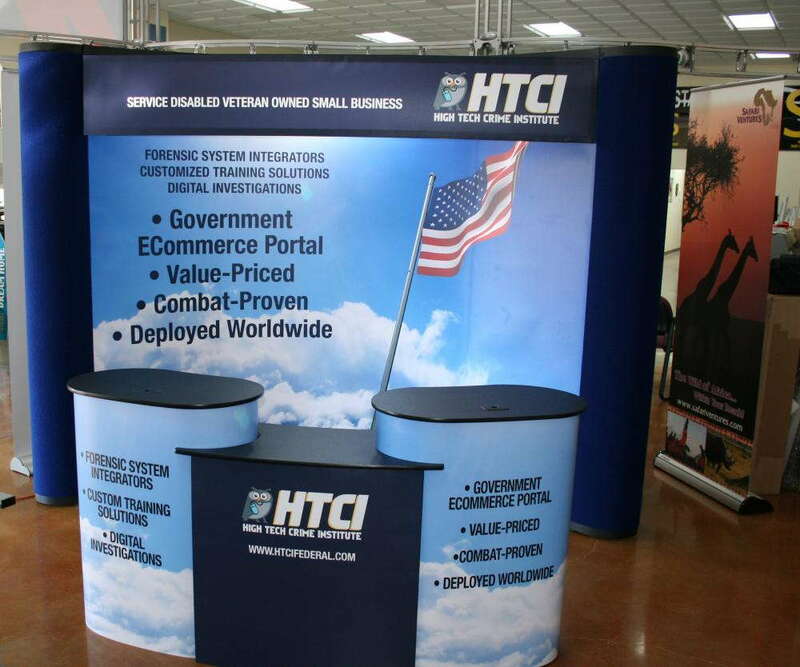 If you’re a business that often hits the road to showcase goods and services, having a reliable, durable and portable trade show display can help immensely with leaving the right impression. SpeedPro Imaging Tampa East will gladly help with creating the ultimate ensemble of graphics and accessories. These tools will allow you to transmit your professionalism in an attractive way while maintaining functionality. We’re a part of the biggest large format graphics provider in the country, which allows us to use top-tier printing technology and industry-leading materials. Due to that combined with our extensive experience, we’re confident that we can craft the right solution for any business located in Tampa, Brandon, St. Petersburg and surrounding areas. You deserve to have your pick of the best solutions possible for your project, and our product catalog allows that! It’s extensive and varied, which can be intimidating, but we’ll learn about your project through a detailed consultation session in order to make appropriate recommendations. We’ll discuss your options with you as much as you’d like, because we’re committed to supplying solutions that you’re 100 percent comfortable with. We don’t believe in saying “no” to any project, so all of your ideas are welcome. We’ll walk you through the process and help you finalize decisions. 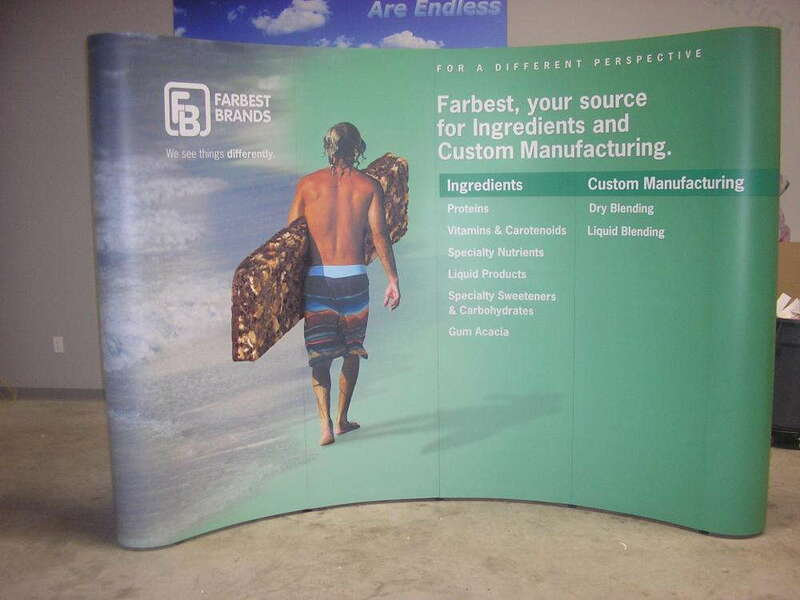 You’ll get a trade show display that accurately reflects your brand at any event, from expos to concerts to festivals. 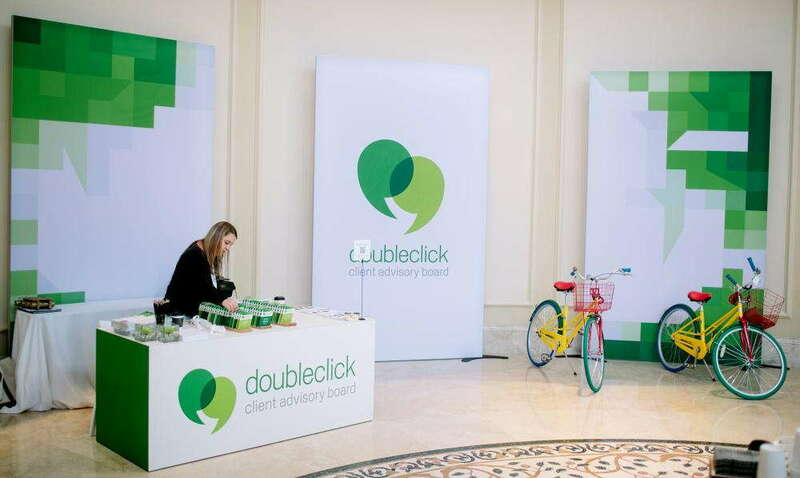 Banner stands: Retractable banners offer unparalleled flexibility and impact. We provide a range of sizes, materials, styles and components. You can select from retractable, telescopic and spring-back styles, and they also come in three models: economy, standard and premium. Hop ups: These display kits are ultra-portable and fit large fabric graphics, which are great for grabbing eyes as a trade show backdrop. They’re lightweight and don’t require tools, and they also come with LED lighting and carry cases. Backlit graphics: Why settle for regular graphics when you can put the spotlight on your company with LED lights? You’ll attract every bit of attention in the room just by plugging in and shining light on just the right fabric elements, creating a clever, professional, can’t-miss display everyone will be talking about. Tents: Choose from popup, tubular and inflatable styles that also come in a range of sizes. Tents add a noticeable branding element to your outdoor display that attracts people to your services and products. They can be paired with other elements easily, and they offer protection from the weather. 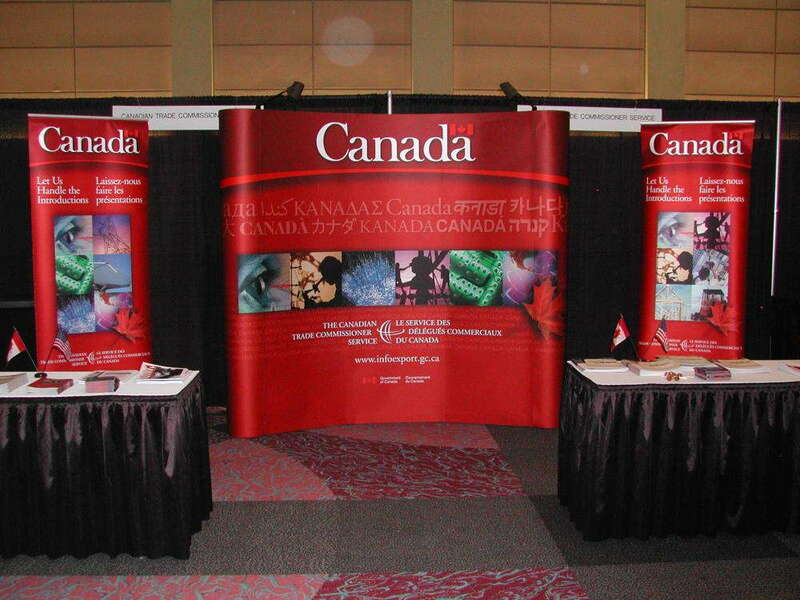 We provide plenty of other products, too, like flags, table toppers, kiosks and literature stands. With expert color-matching practices, we’ll sync up your new marketing materials with each other and with your preexisting branding elements. Reach out to us to arrange your consultation and begin! You can also visit us at our studio, which is conveniently located on Breckenridge Parkway, just off of Route 301, near Interstate 4.